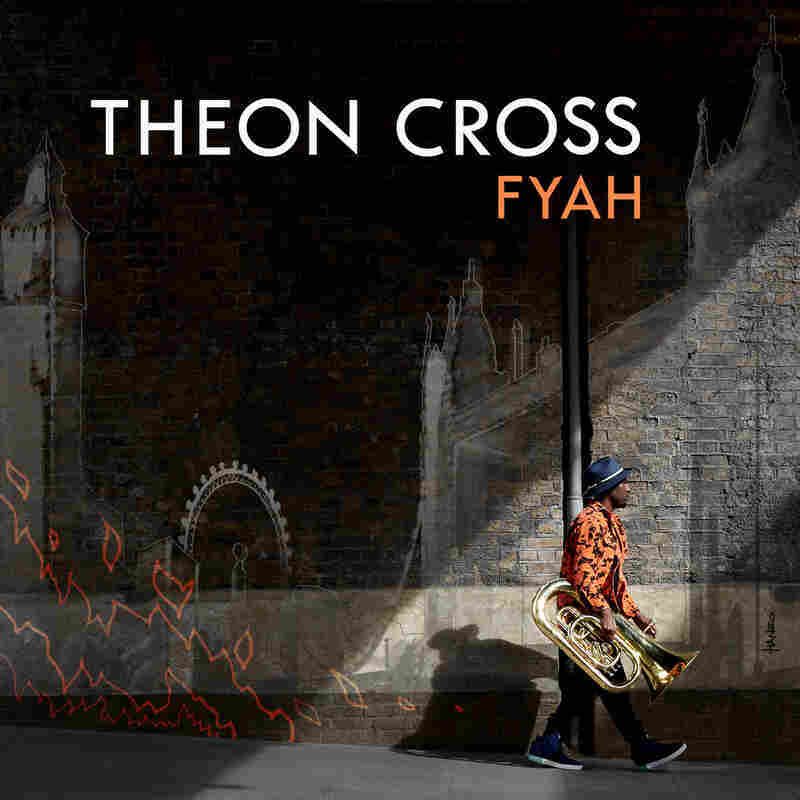 With 'Fyah,' Theon Cross Makes A Statement From London's Jazz Underground The rambunctious, indefatigable tuba player and composer makes a lot of joyful noise on London's jazz scene — part heavy anchor, part combustion engine, with a will to set any groove aflame. Theon Cross' Fyah is due out Feb. 14 on Gearbox. If you've been paying close attention to progressive jazz in recent seasons, you probably don't need to be reminded: London's burning. 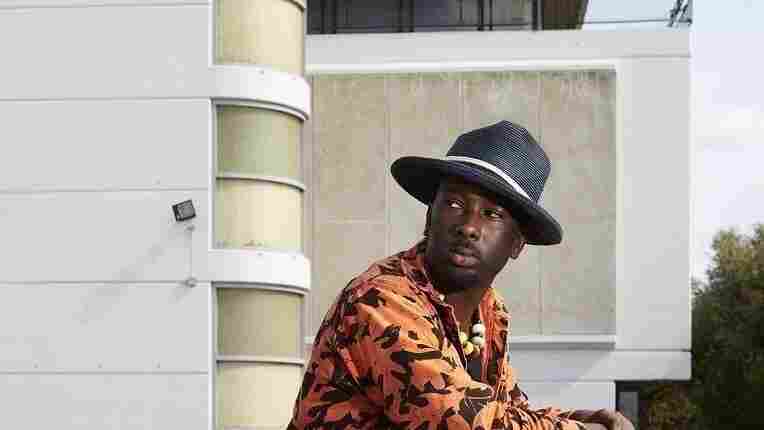 And you may already be familiar with Theon Cross, the rambunctious, indefatigable tuba player and composer who makes a lot of joyful noise on that scene — part heavy anchor, part combustion engine, with a will to set any groove aflame. Fyah is the first full-length album by Cross, featuring the same core trio that appeared on his 2015 EP, Aspirations. The other players are saxophonist Nubya Garcia and drummer Moses Boyd, who each have heralded projects of their own. What they all achieve together here feels like another planted flag: an exuberant convergence of groove-forward improv, U.K. grime, Jamaican dub, Afrobeat and electronic music, with the low end exerting a lot of pull. The album happens to arrive after a banner year for Cross and his new London jazz crew, which put out a self-defining compilation, We Out Here. Among the other notable releases of 2018 were Your Queen Is a Reptile, the major-label debut by Sons of Kemet; and Where We Come From (CHICAGOxLONDON Mixtape), a transatlantic communion organized by drummer Makaya McCraven. Both of those albums gave Cross an essential role, setting the stage for a breakout. Fyah rises to meet that challenge. The first sound on the album, fittingly, is a crashing downbeat, as Cross and Boyd lunge into the opening track, "Activate." Garcia enters the fray a moment later, and then we're off; the pressure-cooker build in the song feels like an irresistible force. Can they really sustain this for the length of an album? They probably could, but Cross has a more balanced idea in mind. He's a capable melodist, as he illustrates with "The Offering," a meditative excursion set at a loping pace. "Radiation," which boasts some of his heartiest work on tuba, has a broken-beat shuffle and a relaxed melodic line that Garcia fully owns. A similar deployment of elements can be found in "Panda Village." Cross twice enlists a different crew, with Wayne Francis (a.k.a. Ahnansé) on tenor saxophone and Artie Zaitz on electric guitar. (Boyd remains the drummer.) "Candace of Meroe" is the livelier of the two: an Afrobeat sparkler with a wah-wah tuba solo up front and additional hand percussion by Tim Doyle. In "CIYA," trombonist Nathaniel Cross (the leader's brother) joins the party to a more reflective end: It's the gentlest melody on Fyah, and probably the one that will linger most in the mind. It also leads naturally into a dynamic closer, "LDN's Burning," with a vaguely Middle Eastern melody and an incantatory groove. Cross knows he's riffing on a title by The Clash with the song. He also knows it's a self-fulfilling proclamation. Go ahead, sound the alarm.